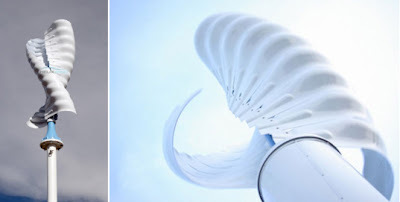 This is one of a number of beautiful wind turbines I've seen hit the market recently. I like this as it plays into architecture, because one does not have to sacrifice beauty for sustainability. If people are to incorporate wind turbines into their homes and everyday lives, someone has to make them beautiful. 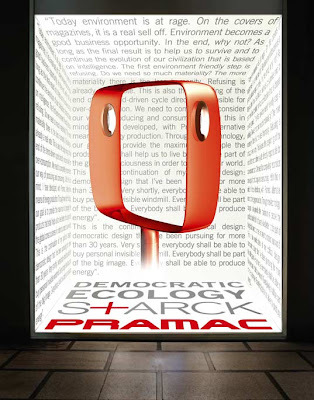 Philippe Starck just created one as well, so this sentiment is obviously a growing one in the community. I think its awesome that people are branching out to do this. I've been interested in this since some of my earliest posts (see energy ball etc. ), I think the future will see a lot of innovation in this regard, and I can't wait.